Like every break from school and work, half term seems to have flown by! 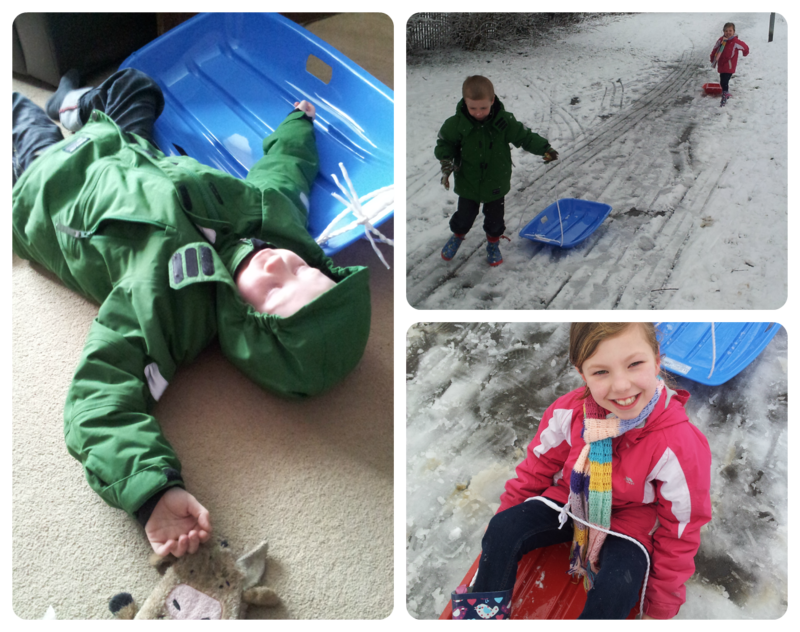 We have had a lovely week though and made the most of the snow and rain with plenty of outdoor fun. After creating some Chinese themed crafts to celebrate the New Year we popped on our wellies and headed to the park on Sunday. 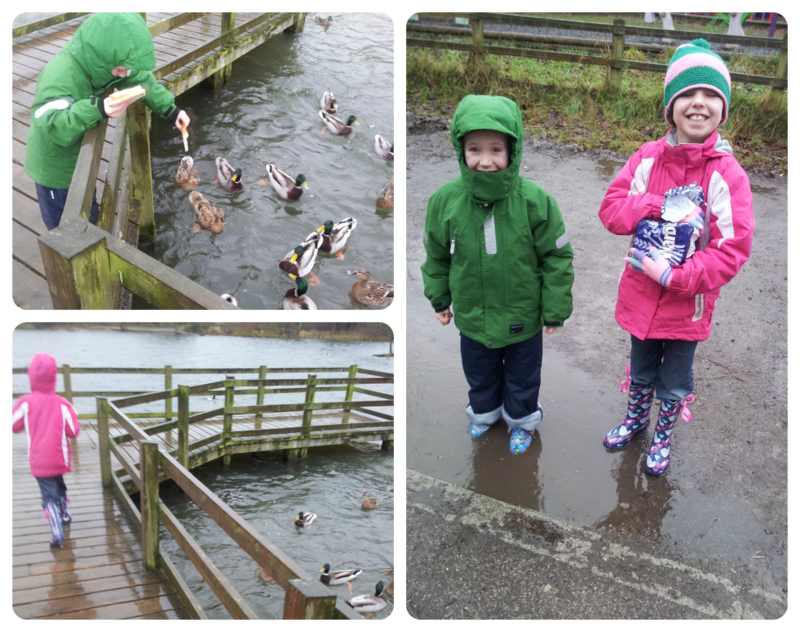 We walked 2.5 miles around the reservoir and woods, fed the ducks and played at the park - even though it was pouring down! We were completely drenched but it was nice to have a warm shower, put on our pj's and enjoy a hot chocolate before dinner when we returned home. Monday after a trip to the cinema and lunch out, we cancelled our plans for the afternoon to make the most of the snow while it was here. Luckily we have a lot of fields nearby so we didn't need to travel far for a huge open space for sledging. I dragged the Mini Mes around on the sledges for a while until I was exhausted, before they decided to brave the sloped paths themselves. 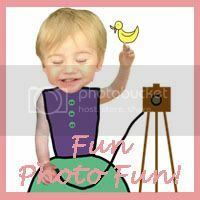 We headed out again to the park later on in the week and out one evening sledging too. The daffodils in my garden have started to appear along with the sunshine so I'm hoping Spring is on the way! Snow is the one thing we have so missed out on this year. I have loved watching everyone else's posts though. As for coming in and being drenched, yep we have had our share of that one; as you say it is a lovely feeling coming back in and getting warmed up and feeling the tingle in your face and fingers as the warmth hits you.! What a brilliant idea to have a walkway out into the reservoir, makes it so much easier to feed the ducks.